This is an excerpt from the Living in Yeoville film, commissioned by curator Okwui Enwezor for the Rise and Fall of Apartheid exhibition. 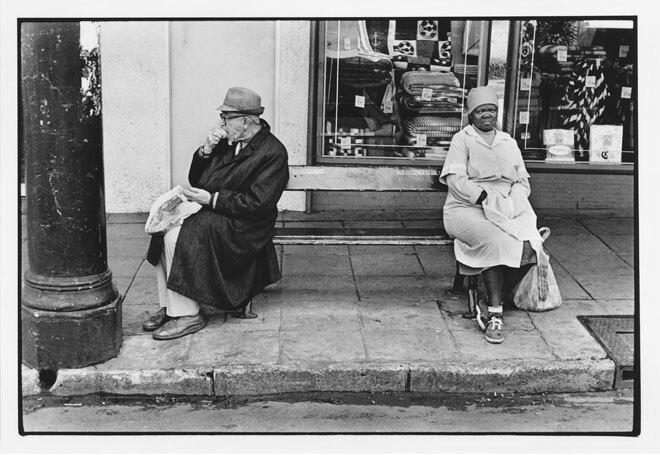 It is a contemporary re-engagement with my first defining documentary project: an examination of daily life in Yeoville in the 1980s. Coming back to these photographs initiated a curious dialogue with own my past, a rediscovery of the texture of that moment in history. I looked again at every image on the 344 rolls of film I had taken at that time and saw in them something that I was unaware of then: ten years before liberation, the bureaucratic edifice of apartheid was in the process of crumbling and this was played out in the lives of the people of Yeoville. Working with video editor Mo Stoebe, I assembled the images to tell this tale. Much of the ambient sound was recorded recently in the same locations as the original photographs. The music is by The Dynamics, who played live at my Living in Yeoville exhibition opening at the Market Photo Gallery in 1988. Their exuberant saxophone-driven jive sound is a powerful part of my emotional memory of the time.